(Jan. 31 2019) -- The UTSA Office of the Vice President for Research, Economic Development, and Knowledge Enterprise (REDKE) shares its 2018 successes in its first year with the amalgamation of the Research office with the Institute of Economic Development (IED). Focused on UTSA’s mission to drive San Antonio’s knowledge economy, it was a record breaking year for the IED and one of steady growth and expansion for the research community. The Office of Commercialization and Innovation (OCI) expanded its commercialization programs and grew the innovation ecosystem. 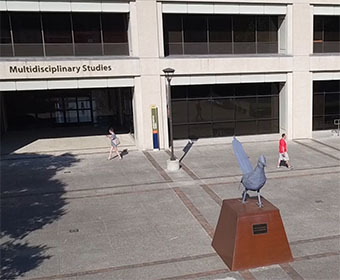 Two UTSA teams were selected to participate in the NSF’s National I-Corps Program, adding to the ranks of twelve previous UTSA teams over the last three years. In FY 18, OCI managed 51 new technology disclosures, with 67 patented filed.